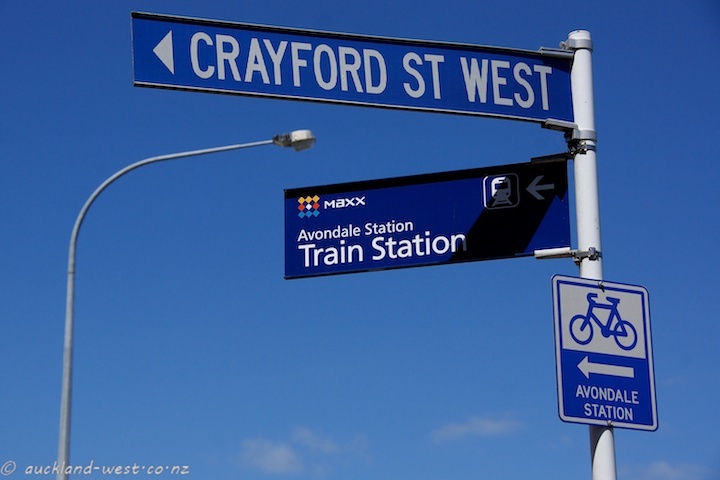 Street signs in Great North Road, Avondale. Pale blue frames darker blue. The combination of street light and street sign shapes creates quite an artistic image. Great blue, – nice SWF-post!